Our experienced training providers are often enlisted as guest speakers at national and regional conferences. These events, conferences and seminars are held in major cities across the country in convenient and comfortable venues offering the perfect opportunity to gain knowledge and also network and share thoughts with other delegates. Check out our list below of where we’ll be in the next few months. If you would like to book one of our speakers for your event or conference, please get in touch via info@dominicregantraining.com or call 0333 014 3071. 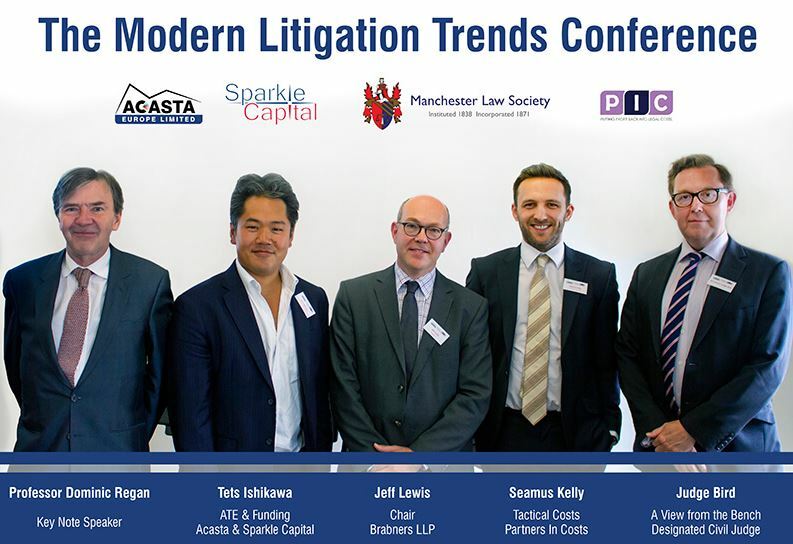 The Modern Litigation Trends Conference comes to Manchester in June 2018 where Acasta partnered with the Manchester Law Society, PIC, and Professor Dominic Regan to bring you the latest updates in the market. With their uniquely positioned insights and positions in the market, the speakers gave their expert views on developments and reforms for the next couple of years. The event featured speakers from the Third-Party Litigation Funding market by Sparkle Capital, a view from the bench by Judge Bird, tactical costs and how to budget by PIC, and key note speaker Professor Dominic Regan setting the landscape for the year ahead. The unmissable Costs Law Reports Conference 2018, now in its 5th year, if the ‘must-attend’ training event for costs lawyers and litigators across England and Wales.